Top 20 of 2011: 15-11 – Garage Dusty Exciting Car Team! “Solid without being spectacular” could be used to sum up Rise Against’s output since the near perfect The Sufferer and the Witness, and that is again apt here. It’s frustrating, because the band is still capable of some of the very best political punk rock around. Disparity by Design is simply incredible, for instance. 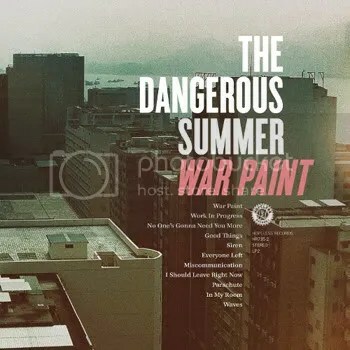 The song explodes with the urgency and passion that was largely left off Appeal to Reason and sits comfortably with anything in the band’s back catalogue and head and shoulders above almost everything else in the genre. 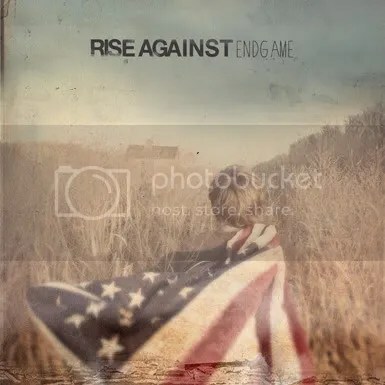 Too often, though, Rise Against these days slip into Nickelback style guitar riffs and rely on their lyrics and their properly traditional punk rock drum patterns to rescue them from the rock-radio mire. It’s an album that’s half great, half OK. Greatest Hits albums are, by and large, terrible. Songs that were great on their respective albums so often fade when pulled out and placed side by side with others out of context, making the whole exercise seem cynical and more suited to the Bon Jovi set. Thankfully, Alkaline Trio seem to realise this. For their “Greatest Hits” collection they took the road less travelled and re-recorded a collection of their classics in a largely acoustic setting. As a result this plays as a cohesive, engaging record rather than a marketing exercise. Nose Over Tail, from Goddammit, is an example of how this setting enhances the songs’ essential elements and makes for something every bit as good as, or perhaps even better than, the original. 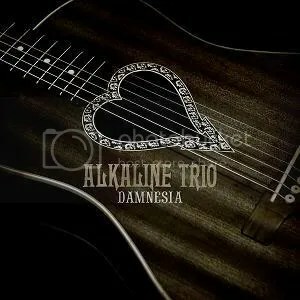 Alkaline Trio have one of the great back catalogues in the scene. Damnesia is a great way to enjoy some of it in a new and fresh way. Highly recommended. Flint, Michigan’s most famous export since Michael Moore, The Swellers dropped a great record in 2012. Not so much pop punk as it is straight up rock with pop punk influences, Good For Me is a record that has huge crossover appeal. With Good For Me The Swellers seem to have substituted their early Wilhelm Scream influences for Foo Fighters influences. While that might sound horrific, the band manages to distil the good from modern rock (most notably the big, stick-in-your-head choruses and melodies) and leave out the boring, something which Dave Grohl seems increasingly unable to do. It is still on the punk-heavy songs that The Swellers succeed most, though – The Best I Ever Had being the shining example on Good For Me. The song’s galloping pop punk drum beat and nostalgic lyrics lodge in your head and never leave, with the song already a fan favourite. Listen to it loud in your car, windows down, and try not to air-drum along to it… Parkview is another highlight, mixing a heavy dose of Alkaline Trio with themes of ‘home’ similar to those explored by The Wonder Years to great effect. Shovelling snow never sounded so cool (excuse the pun). For all its clear influences, Good For Me is never derivative or predictable. 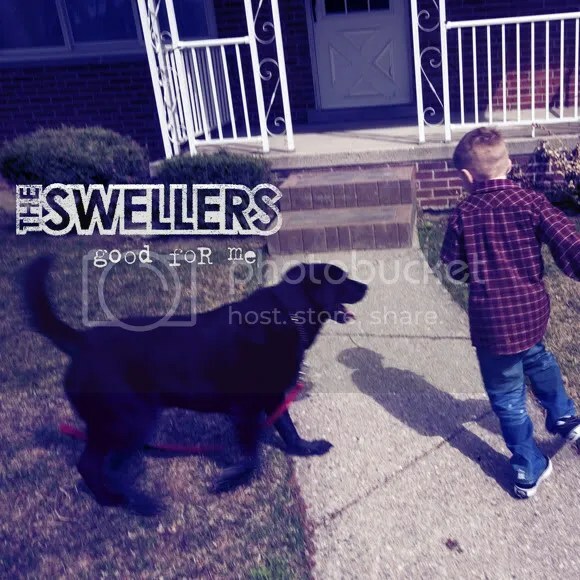 It is very much a Swellers record – the working class feel and honest, forthright lyrical themes fast becoming the band’s trademark. Essentially this is just good people writing good, catchy, down-to-earth music which is always very easy to like. Great live too. Transit play pop punk influenced rock in the same vein as Into it. Over It., but with a slightly more punky edge coming from the occasionally aggressive drumming and the dual (or tri) vocal attack employed in several songs (see Cutting Corners for an example). If the term hadn’t been corrupted beyond recognition, Listen and Forgive would be described as an emo album in the same way that Something To Write Home About was an emo album. The comparison feels apt, too, as the record has a weight to it not unlike the classic Get Up Kids release. 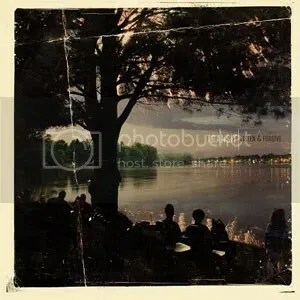 Stylistically it’s a laid back sounding record, perfect for a lazy Summer day’s road trip, but lyrically it hits harder than the musical approach might suggest. Lines such as “I’m nothing special really/I’m just a kid who tried too hard/And lost his heart in someone else’s bed or car/I don’t remember anymore” and “I miss when you and I were us/and every day, every day was ours/Lost in an ocean of passing days and cars/you stood out like every accident does” are instantly affecting and relatable, teaming with the intimate sound to create something that is easy to fall in love with. There’s beautiful photography in the booklet too – this is one that is worth buying on CD or LP rather than downloading. Finally, keep an ear out for the stunning vocal cameo from Patrick Stump. If you haven’t heard the album yet I won’t spoil it for you by telling you where it occurs, but when you hear it you’ll immediately wish for the return of Fall Out Boy. Worth the purchase price for that alone.